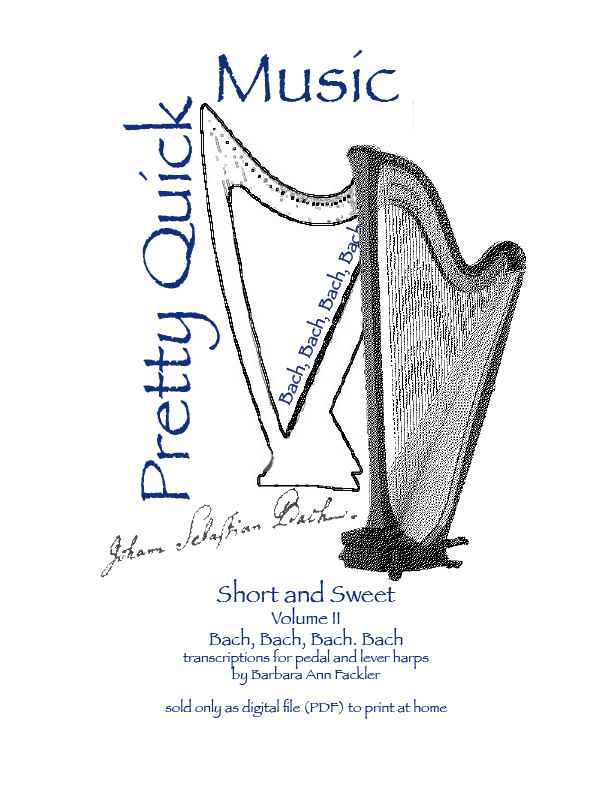 Each of these four transcriptions is offered in its original key with transpositions to accommodate the range of small harps and harps without full levers. Pedal changes are included. "Wachet Auf" includes lever changes while playing, while the other three have lever presets. Limited fingerings are included in 22 pages of music to print and cover art. See table of contents below. Offered in the original key (Eb) and transposed to the key of C for lever harps (23 strings, C-d or larger), each version includes lever and pedal changes as well as some fingerings. Cannot be performed without the lever changes, but with practice, you'll sail right through them. This is suitable for a wedding processional or recessional. Some congregations use this during early Advent season so it's a great addition to Christmas repertoire.